In recent comments on the official website I often came across “Tired of Pandaria, gimme-gimme-gimme Draenor!”. 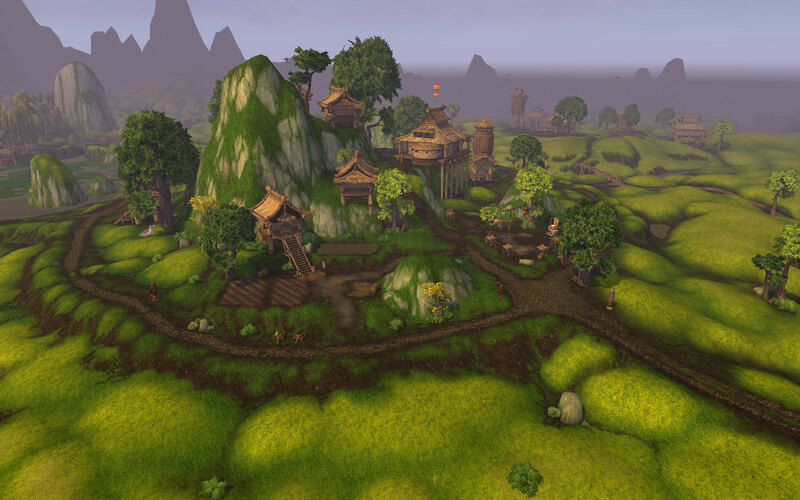 One of the points that bothers people much about current expansion is surprisingly – Halfhill farm. I must serve as a public defender here. First, developing the farm was very fun. I have 4 characters to reach Halfhill yet, and I would gladly follow this questline again and again. Each and every Pandaren who has the right to vote is different, has his/her own issues and offers different amusing questlines. Chasing yaks, killing virmen, fighting a big dangerous hozen – every next step is not a chore! You actually see the progress and obtain more devices to ease your time-being here. Next, and most important thing: people seem to think that turnips are not worth their efforts here. Do they really see their farm only as a source of veggies and that’s it? Let me make something clear: with only 27 gold coins for 2,5 days you receive a constant income of supplies just enough for a daily cooldown of rare material. Leathers, herbs, cloth, ore – the whole pack of my six 90ies require just 10 minutes of my time daily to get what they need! Truly so, I’m gathering crops, sowing new seeds and craft mats for all six level-caps in 10-15 minutes between my morning shower and getting dressed for work, while my coffee cools down. Do people really miss the times of grinding mats? For example, Rottenshield moved to Cataclysm yesterday, and she still haven’t mastered her tailoring up to her progress. I’ve emptied her and other Horde’s accounts only to get few stacks of Frostweave Cloth which still made her level up only by 6 points. Stuck at 417 (when she needs 425). Now she will wait until she gets enough gold to buy some more and level up further. And grinding at this point is not an option, really (cause I have 4 gals to level up to Pandaria fast now). When the making of top-notch things I planned will be over for my 90s, imagine the amount of resources they will deliver for my leveling chars. It’s THREE FULLY FUNCTIONING FARMS working for only one toon – they will level up their professions in a blink of an eye. P.S. Btw, speaking of coziness: I think that obligatory farm upgrades for every char are mailbox and furniture inside the house. And maybe a cat too. P.P.S. The idea seems to be developed in Garrisons – I can’t wait to see how it is done.